The 2016 presidential election has finished and Donald J. Trump’s victory in the presidential race on Tuesday night has drawn worldwide attention. 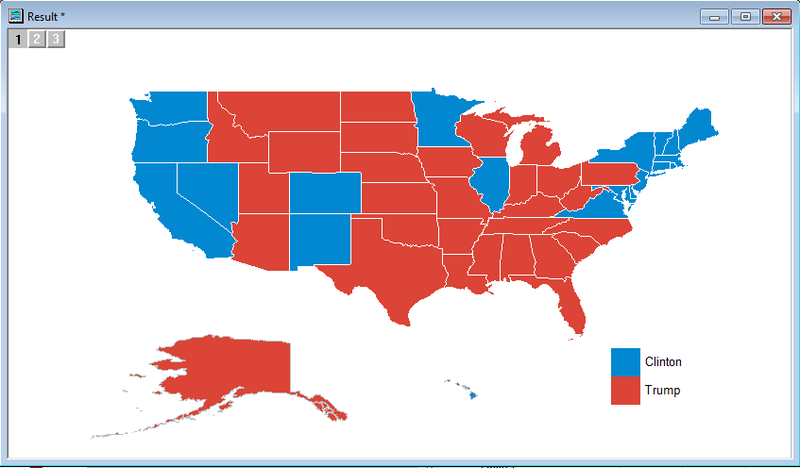 In this example we use Origin to illustrate election results using Import Shapefile and Colormap for Map Data Apps. You can download this project. For a general discussion on use of these Apps, please refer to this blog. 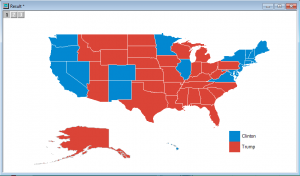 This first figure gives a state-by-state overview of election results. 2. 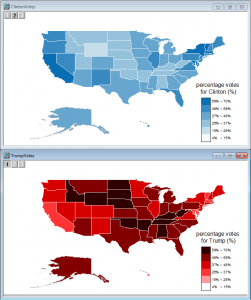 The following two figures show state-by-state vote distributions for for each candidate.